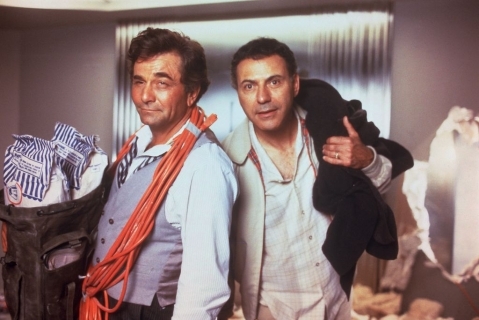 I told one of my daughters the other day that she should see The In-Laws, the 1979 film starring Peter Falk and Alan Arkin. It has to be one of the funniest movies of its kind. Coincidentally, as Pat and I were surfing for a movie to watch on the following night, we came across Big Trouble, a 1986 film also starring Falk and Arkin and including Charles Durning, Robert Stack, Beverly D’Angelo, and Valerie Curtin. We watched it. We were disappointed. I have read that this movie, the last directed by John Cassavetes, is a spoof of Double Indemnity and that it contains multiple references to other classic movies. In fact, the commentator on the IMDb website recommends that a viewer see some of these films—and others directed by Cassavetes—before viewing this one. That’s too much work, but I can verify the commentator’s prediction that a viewer who doesn’t undertake the prerequisites is unlikely to understand or appreciate Big Trouble. Arkin plays Leonard Hoffman, an agent for a large insurance company, whose wife, Arlene (Valerie Curtin), is hell-bent on sending their musically talented triplet sons to Yale. But an expected scholarship did not materialize, and Leonard is becoming unstrung under the pressure of his wife’s ambition for the boys. 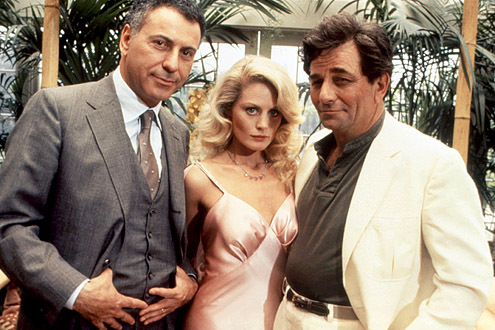 While this crisis is simmering, Hoffman is asked by a blonde beauty named Blanche Rickey (Beverly D’Angelo) to make a house call to write a homeowner’s policy on the mansion she occupies with her adventurer-husband, Steve (Peter Falk). She tells Leonard that Steve’s health is very fragile; in fact, he isn’t likely to live much longer. Leonard, in turn, marvels at the fact that there is no life insurance policy on Steve. From this conversation there flows a complicated and wacky chain of events through which we learn—as though life hadn’t told us so often enough—that things aren’t always what they seem. 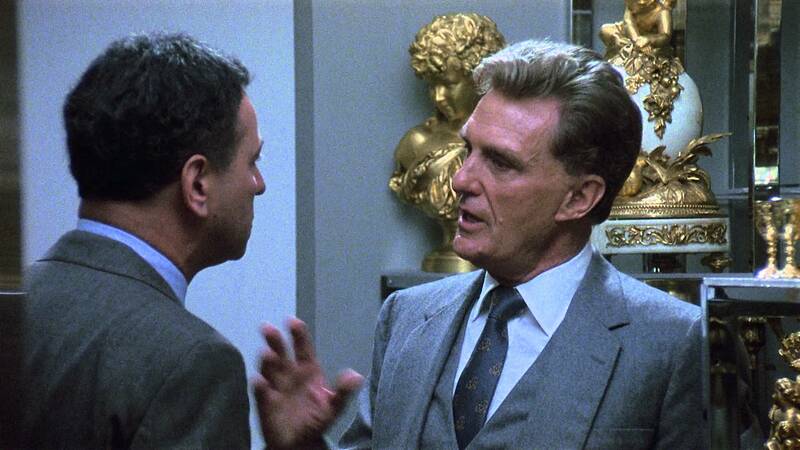 ALAN ARKIN and ROBERT STACK, who plays the head of the insurance firm that employs Leonard Hoffman. There are some laughs in this movie—many of them emanating from the combined personalities of Falk and Arkin—including a scene in which Steve offers and Leonard reluctantly accepts a glass of “sardine liqueur,” something that Steve assures Leonard is almost impossible to find. But the movie overall is bizarre and unsatisfying—unless, of course, you’ve done your research.